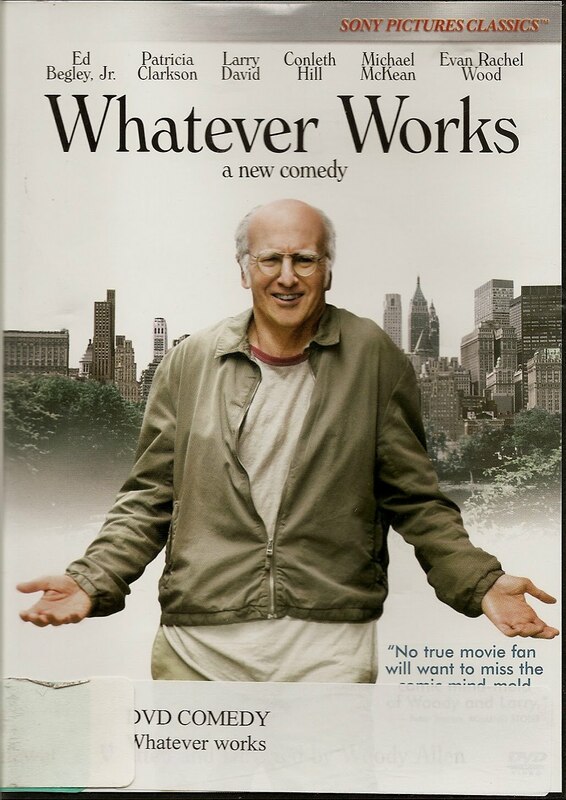 Rooftop Reviews: "Whatever Works" with Evan Rachel Wood, Larry David, and Ed Begley, Jr.
"Whatever Works" with Evan Rachel Wood, Larry David, and Ed Begley, Jr. 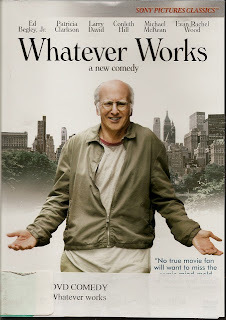 The character of Boris Yellinkoff, played by Larry David, is the main vehicle for this story, and employing the old technique of having him talk directly to the audience, even as the "live" action of the film continues to roll, makes this a very comical, and unusual, film experience. Boris begins his tale of Doom and Gloom, meeting daily with his friends for coffee, after having failed at a suicide attempt, and losing his wife to divorce. He has given up on everything. He is a bitter old man. That is, until he comes home one evening and finds Melodie St. Ann Celestine, played by Evan Rachel Wood, sitting in the alley by his stairwell. Boris is kind of like many middle aged men, ranting at the changes in society, and bemoaning the lost years of his earlier life. He is cynical to a fault, and finds himself at odds with those who cannot see the truth, as defined by Boris. Basically, he believes in nothing. We know all of this because Boris never stops talking, even to the audience, as he narrates the story. Here is a typical quote, "My father committed suicide because the morning newspapers depressed him. And could you blame him? With the horror, and corruption, and ignorance, and poverty, and genocide, and AIDS, and global warming, and terrorism, and the family value morons, and the gun morons. "The horror," Kurtz said at the end of Heart of Darkness; "the horror." Lucky Kurtz didn't have the Times delivered in the jungle." Prior to the arrival of Melodie in his life, Boris had been a Professor of Quantum Mechanics at Columbia University. He was an expert in the "string" theory. At one point he attempted suicide by jumping out the window of his apartment, only to land on the front lobby canopy, resulting in a permanent limp. He then divorces his wife, quits his job, gives up their beautiful apartment, and takes a back alley dive as his residence. So, when Melodie Ann shows up, he is immediately skeptical of her motives, and her story. But, a human being is a human being, so Boris takes her in, setting off an intellectual dilemma as he begins to turn her world views into his own cynical interpretation of life. Will that cynicism take root? Or will young Melodie's air of confidence serve to help them both find their individual ways? When Melodie's eccentric and strange mother, Marietta, played by Patricia Clarkson, shows up, things get even stranger. And Boris' friends can't believe the change in Boris. But complications arise, as they always do, and Boris, formerly a difficult and misunderstood man, seems to change. I won't tell you what happens between him and Melodie. You need to watch the film to find out. But here are two lines, including the last one from the film, that I hope will inspire you to see this movie. Boris Yellnikoff: Love, despite what they tell you, does not conquer all, nor does it even usually last. In the end the romantic aspirations of our youth are reduced to, whatever works. Boris Yellnikoff: See, I'm the only one who sees the whole picture. That's what they mean by genius. The Age of Chivalry is Not Dead. 2012 and the Secret Ballot - An Opinion. An Afternoon in the Sun with Sue.